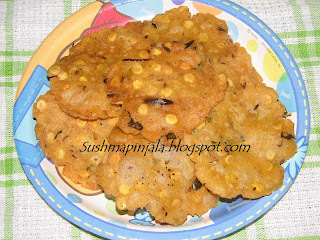 The snack I made today is simple one which can be easily handled by kids. Its the mini version of Egg puffs. Easy to make and easy to handle with simple ingredients. Great for kids parties and family gatherings. Boil eggs and remove the shell. In a small pan heat 3 sps oil and add sliced onions and tomatoes. Cook till they become soft, add salt, haldi and chili powder and cook further till done. Cut each egg into 4 pieces. Defrost the puff sheets and cut them into little bigger than the egg pieces. of egg on top as shown below. 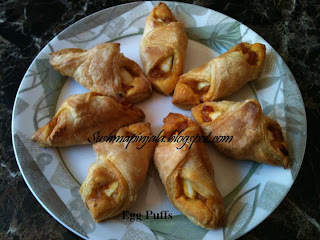 Fold each puff as shown below. Place each puff 2 to 3 inches apart from each other on baking tray which is pre greased. Back on 350 degrees F for 10 minutes on each side. Ending this weeks Marathon with a sweet dish Kaala Jamun. Kids love sweets and there is no party without sweet treats. 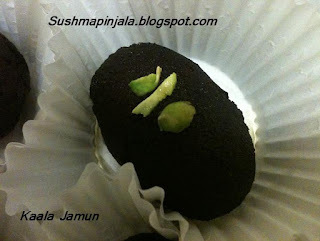 This is one of the Indian Sweet dish usually made in the southern part of India .Kaala Jamun is a popular cheese based sweet like Gulab Jamun. This is made exactly the same way we make Gulab Jamun but this is double fried to get a nice dark black color. Mix Gulab jamoon mix with little water at a time. In 1/4 part of the mixed dough add color and 1spoon sugar. Now make small balls of the colored dough. Also make little bigger balls with rest of the dough. Now fill the small colored ball into the bigger ball and make a ball again or what ever shape u want it to be. In a pan add sugar and water and boil to make sugar syrup. Add saffron and also crushed elachi to the syrup to boil. This gives nice color and also nice flavor. 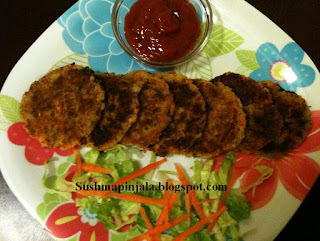 Today's post is chat pata Aloo tikki. 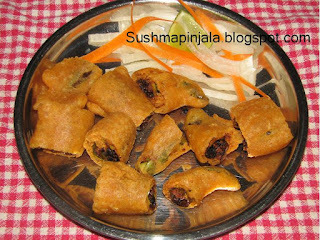 Perfect for monsoon season and kids parties as a finger food. Made this tikki mixture to make bread bonda. But some how didn't like the taste with bread. Then tried to make tikki out of it and it was perfect. Tasted yummy with some ketchup and lettuces. Boil potatoes and remove skin. Mash the potatoes and add grated carrots, chopped green chili, chopped cilantro, cumin powder, chaat masala, lime juice and salt. Mix everything well and make as small patties and keep aside. Heat a skillet and add oil for shallow frying the patties. Take 1 piece at a time and coat it with breadcrumbs. Fry these patties in oil till nice and crisp. Always remember to cook on low to medium flame. For this week Marathon I choose to cook finger food for kids parties. When we think of kids first thing which comes to my mind is Chocolate, and my kids love chocolates. Everyday I wonder what snack I have to pack for my kids school. 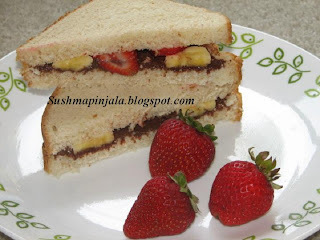 Got to know that many kids get this nutella spread sandwiches to school and my kids stared asking me for that. You wont belive more than my kid I started liking nutella. This sandwich goes perfect for lunch boxes and also for kids parties. Easy to handle and less messy. Adding some fruits to this sandwich to make little healthier snack. Spread nutella on each slice of bread. Cut banana and strawberries into small pieces and place few on bread slices which is spread with nutella. Cover with another bread slice and cut into 2 halfs. Check to see what my fellow bloggers are cooking for BM 29. Also sending this entry to Kalyani who is hosting Kids delight - kids party menu. Slit the chilies and pan fry adding 1/4 sp oil, till they become soft. Make a powder for filling, adding salt, chili powder, ajwai, jeera and tamarind. Soak Chana dal for atleast 4 hours. Wash with water and grind 3/4 dal to paste. Just add dal to mixer and just use the pulse button. Do not grind it to smooth paste, and do not add water. Remove to big bowl and add rest of the dal to this crushed dal.